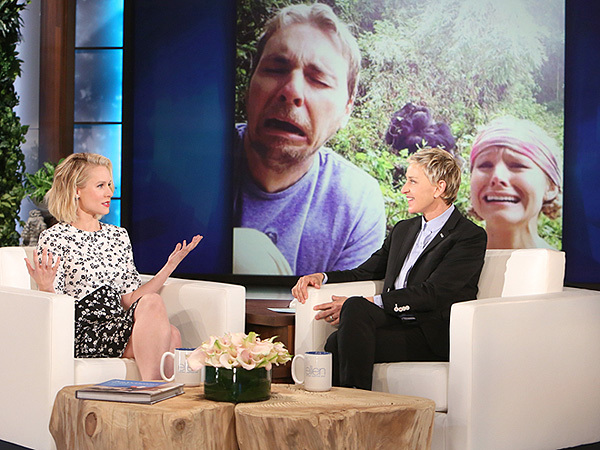 Kristen Bell opened up about her not-so-quiet life with her husband Dax Shepard and their two daughters 3-year-old Lincoln and 15-month-old Delta, while making a Monday appearance on The Ellen DeGeneres Show. “It’s a circus. It’s a circus for sure. I love it. I love them,” Bell told. “But, you know what? You know where we could do better? Why does everyone wake up screaming? The Boss actress joked that she hoped that they would learn to make her coffee as they got older. She added that motherhood has made her more comfortable with giving advice. They married after dating for six years.